Did you miss Chapter 1? We’re going to do exactly that with your blog. Before you pick a strategy and start implementing it, you have to pick your end point. Then, work backwards to find the strategy that will work the best for you and your business. Essentially, if you want to make money blogging, you need to think of blogging as a business. This is a great strategy for three reasons. FIRST, as Yogi Berra said, “If you don’t know where you’re going, you might not get there.” When you know your destination, it will be easier to reach, and you’ll know when you get there. SECOND, you will save untold hours and dollars by creating a destination and planning backward to choose the right strategies. If you keep trying different strategies looking for something that works, or pick something at random because it seems easy or because someone else is doing it, you might never reach your income goals. Choosing the right tactics for your plan will reap much better results, and much sooner than taking a try-and-see approach to monetization. THIRD, you will make far more money with a strategic plan and focused tactics than you ever could by trying a few things to see what works. Planning and testing will create more income and more free time for your life than any other method of monetizing your blog. Is It a Blog or a Business? If you’re like a lot of bloggers, you think of your blog as something you just do. You would like to “make some money from it,” but you don’t think of it as a business, and you don’t treat it like a business. In fact, you may make a point of telling people that you’re “not interested in starting a business” or in running a business. That mindset—and that approach—severely limits how much money you can make from your blog. You may not make any money at all until you overcome this limiting factor in your monetization plans. The first reason you’re not interested in running a business may be this: You may have some negative ideas about the idea of a “business.” That’s pretty common, so let’s take a look at negative, limiting beliefs you might have about being in business or running your own business. I can’t run a business because I don’t know how. I can’t run a business because I don’t want to have employees. I can’t start a business because I don’t have any money. Business involves selling and I don’t want to sell. Let’s just briefly look at these and see how you can let go of your limiting beliefs. Business is boring. Business can be boring, but it doesn’t have to be. When you start your business, you can create whatever you want, and boring doesn’t have to be part of that. I can’t run a business because I don’t know how. When you started school, you may not have known your alphabet or how to write your name, and you certainly didn’t know calculus and how to write a research paper. You learned as you went. Starting a business is the best way to learn to run a business. When you don’t know how to do something, you’ll learn, and then you’ll know how. That’s how many people learn to run a business. I can’t run a business because I don’t want to have employees. This is one of the most common things people think about running a business, and one of the easiest to deal with. If you don’t want to have employees, you don’t have to. You can stay small and do it all yourself. You can also grow by hiring contractors to do some things you don’t have time to do. You might start with a virtual assistant and then hire more contractors as you need them. I can’t start a business because I don’t have any money. This is a big limiting belief, and one you can let go of right now. Starting a blog business doesn’t require a whole lot of money. Blogging is probably the cheapest business you can get into, and when you set your business up the right way, you’re going to make way more money than you ever put into it, and turn a large profit on your time and investment. Business involves selling and I don’t want to sell. We’ve already talked about this in Chapter 1. People don’t like to be sold, but they do like to purchase things that make their lives easier, solve a problem or provide a delight. You don’t have to sell anyone. When you build an audience-based blog business, you’re going to surround yourself with people who want what you have to offer and will gladly pay you for your knowledge, time and expertise. Negative and limiting beliefs are the first thing that may be holding you back from creating a blog as a business. You may let go of those beliefs and still not think you want to start a business. You may, like a lot of people, think of your blog as a hobby that happens to pay. Unfortunately, you’re going to have to make a decision, because you can’t both treat your blog as a hobby and make a living from it. We can’t say that it never happens or that no one ever has, but it’s about as likely as selling your blog for millions of dollars. Hobbies are fun, which is one reason we like hobbies. We also do our hobbies when we want to and do what we want to with them. If I don’t want to work on my knitting for a month, I just don’t work on my knitting for a month. A business can be fun, but you can’t treat it like a hobby. You have to work on your business, and in your business, on a regular basis. NOTE: You also need to be aware of the tax implications of having a hobby or a business. Most people who start making a little money from their hobby discover something pretty quickly. They either have to turn it into a real business or make less money than they would with a real business. You just can’t build a full-time, regular business if you only work when you want to and ignore everything when you don’t want to work on it. That’s not to say you have to work full-time on your business, especially at first. There’s nothing wrong with running a part-time business. You just have to be regular with your work and maintain it like a business rather than a hobby. You have to treat blogging as a business. We’re assuming that you want to make a life and a real living, either part-time or full-time. You may not know how to run a business now, but we’re going to show you how to make money from the blog you’ve been building, or are planning to build! Before we do that, though, let’s look at the last reason you may not want to turn your business into a blog. For this limiting belief, we’re going to throw just a bit of cold water on the passion/business connection with this very important article from Jonathan Mead of Paid To Exist. What Jonathan has to say is very important advice if you’re planning to monetize your passion. What do we mean, you may not want what you think you want? Let’s say you love birds. You’re a birder. You start a blog about birding in your area. You’re having a good time blogging about your birding adventure and your friends’ adventures. You write an ebook about birding at a lake in your region and sell it for five bucks on your site. You sell a few copies of your ebook, and then the state birding society mentions it in their monthly newsletter and you sell 500 copies in one weekend. That’s enough to make your car payment for the rest of the year. A friend asks if you’re going to do another ebook. Another friend, who runs an online business, asks if you’re planning to “further monetize” your blog. Now, one of two things might happen. The first thing that might happen is that you might get an idea for another ebook, one that would appeal to birders across the country. It has a wider audience than the one you wrote for birders in your area. It has more material, and it takes longer to write. You enjoy writing it, get some great cover graphics made, price it at $15 and start looking for a way to get the word out about your new ebook. If this is how you handle your sudden success, you’re probably ready to turn your blog into a business. But, you might react differently. When your friend asks about further monetizing your blog, you might feel weird. You might not want to do it at all. Or you might get an idea for an ebook with a wider audience, but then not feel motivated to write the ebook. You might not be as excited about creating revenue streams, as we call them, from your blog as you thought you were. That’s fine—go with the way you feel. But if you resist the idea of blogging as a business, now might not be the right time to do it. 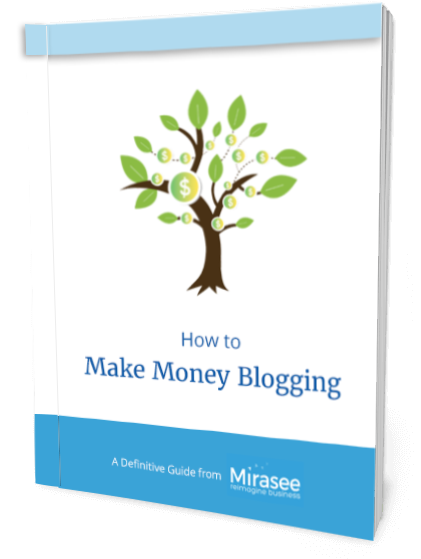 We assume that since you’re reading this guide, you want to make money from a blog, and that you’re here to learn how. The problem is that any one of these three obstacles can wreak havoc with your monetization plans. Any two—and especially all three together—can be fatal to your monetization plans, and even to your blog itself. But they don’t have to be. Here’s why these obstacles can ruin your chances of starting a successful business, and how you can stop them from doing that. These three ideas can be barriers to starting a business. If you allow yourself to believe that you don’t want to start a business, or that you can make money from your blog while treating it like a hobby, or that monetizing your blog doesn’t feel right in terms of what you want from your blog, then you won’t successfully turn your blog into a money-making business. If, however, you acknowledge that there are limiting beliefs and that you have subscribed to some or all of them, you can let go of them. You may not immediately jump up from your chair celebrating your release from all limiting beliefs. You can, however, do the work as if you believed differently, and the beliefs will change. If you want to create a successful blog that provides you with the life you want and creates a living for you, as well as giving your audience members something they want and need, you can do that. You just need to make a start and keep doing the work. So now that you’ve identified your limiting beliefs, and started work to overcome them, it’s time to start your blog business. The next thing you need to think about is: what do you need from your business to make it worth your time? We’re obviously talking about money here, but we’re also talking about time and other non-tangible factors, such as relationships or personal freedom. We’re also talking about what we’ll call perks, or miscellaneous cool things that happen or that you acquire as a result of running your business. “If you don’t have a clear picture of exactly what you want your lifestyle to look like, how on earth can you build a business to support it? And that’s exactly what a business should do by the way—allow you freedom of choice and time to do what you desire, while supporting you financially. Of course when you love the work you do it never feels like work and that also comes back to getting really clear about how you want to be spending your time, with who and on what. I call this your painted picture—your visual and written plan of what you want your business and life to look like 3 years from now but written in the present tense. We’ll start with your blogging income goal, because that is the easiest thing to measure and because it’s usually the biggest goal. How much money do you need from your blogging business on a monthly or annual basis? This number should be the amount of money you need in order to leave your job and run your business full-time, if that’s what you want. If you’re happy working part-time, this is the amount of money you need to make to compensate you for the time you spend on your business outside of your regular job. Think of this as your minimum required income from your blog business. We’ll talk about what you would like to get from your business in a moment, but for now, come up with a dollar figure that would allow you to keep running your business for the long term. Time is the next important thing to look at in terms of what you need from your blog. There are two aspects to time and your business. The first thing to ask is: how much time do you need to work on your business versus how much time you’re not working on it? If you’re planning to replace a full-time job, you may eventually work full-time on your business. Until then, how much time do you have to work on your business? If you’re planning to run your business part-time, how much time do you have for your business? Do you have good time management practices in place? If not, you might want to check out “10 Time Management Tips that Work” from Forbes. We’ll talk later about what you need to do when working in and on your business, but the question now is how much time you have. What container of hours does your business need to fit into? The next question about time is: In terms of time, what does you need your business to give you? Do you need to create a full-time business where you work 30 hours a week, with those six hours a day occurring Monday through Thursday? Do you need your evenings free for other activities? Do you need to be free in the morning to take kids to school or in the afternoon to pick them up at the bus stop? You’ll need to build your business around these other commitments, so take note of what you need, in terms of time. Relationships, freedom and perks are harder to quantify, but you probably have some ideas about what you need from your business. You may need to build relationships with other bloggers in your field, or want the freedom to take off on a weekday morning and to breakfast with a retired friend. You may want to reach a position where binocular manufacturers offer you a free pair of binocs in exchange for an honest review. Make a list of what you need from your business, in terms of money, time, relationships, freedom and perks. Again, don’t worry about quantifying relationships, freedom or perks. Just write down what you feel you need. Okay, now to the really fun part. What you want from your business is different than what you need. Needing things means the bare minimum required to keep your business running. What you want covers everything over and above what you need to make it worth your time and effort. This is where you consider how much money you’d like to make, how much time you’d like to spend on and in your business, when you want to work, and what you would love to have in terms of things like relationships and freedom and perks. If you have a place where you’re writing all of this down, start a page for what you want from your business. If you haven’t yet written down what you need, go ahead and do that first. Then, you can start listing what you want. If the question “What do you want from your business?” has you shaking your head in bewilderment, here’s an article addressing just that topic. You might feel a little clearer after you finish reading it. Come up with a dollar figure for what you want your business to make per month or per year. Write out the schedule you’d like to keep and the number of hours you’d like to work per day and per week. Note the times you don’t want to work and the things you want the freedom to do. Name a few people you’d like to get to know through your business and some perks you’d like to get from your blog. Now go a little deeper and describe the life your business gives you. You might want to start describing the life your business will give you by describing your income, but here’s why you shouldn’t. You’ve already written down the income you’d like to make. Now you get to look at what that income is going to provide for you. Start with enjoyment. What do you have in your life that you enjoy and that makes your life more fulfilling and happier? This could be anything that you will have in your life when your business is creating the life and living you want. It could be a hot tub or a fancy memory foam pillow. It could be a sailboat or time to play Pooh Sticks in the creek by your house with your kids. Step back and take a broader look at your lifestyle. How do you live once your business reaches the income you desire? Think about this in the present tense and imagine living your perfect lifestyle. Where do you live? Why do you live there? What do you do with your free time? Who are your friends and what do you do with them? What do you do when you spend time with your family? Where do you work, and why do you work there? What are your days filled with? Imagine your whole life when your business reaches your desired level. Now imagine the social impact that you and your business have. This may be mostly through your business, or it may be mostly outside of your business. What do you care about, and how do you make a difference? In what ways does your business make your social impact possible? What will you do for the world in the next five, ten, 20 or 25 years? Be sure to write this all down, in a place where you’ll be able to re-read it as you build your business. This will serve as inspiration and motivation when you encounter obstacles and roadblocks along the way. Who Are You With Your Ideal Blog? We’ve looked at what you need and want from your business in terms of income, lifestyle, social impact and other tangibles and nontangibles. Now, take a few minutes to think about who you are when you have your ideal blogging business. What does having your business do for your confidence and your sense of self? Who does it make you, whom would you like to be? How does it make you more of yourself? Who are you to the members of your audience, and how do you serve them? Who are you to people in your life and your physical community, and how do you serve them? In short, who is the person you will be when your blogging business reaches your immediate goals and becomes the business you want it to be? We hope you’ll forgive another quote, which seems to fit very well here. “If you have built castles in the air, your work need not be lost; that is where they should be. Now put the foundations under them,” says Henry David Thoreau. Now that you have a bunch of dreams for what you want your blog and your business to be, it’s time to create those dreams. To do this, we use backward planning. Some consultants use fancy terms like Understanding by Design and Backward Design for various situations, but we’ll stick with the term backward planning. It’s short, it’s easy to say and it describes what we’re doing. This SlideShare deck by Ed Vainker demonstrates backward planning really well. It’s designed for teachers, but it works just as well for our purposes. Let’s start with what you need from your business to make it worth your time and effort, and how much you want to work to reach that level of income. Go back to the exercises we did in the last section, where you wrote down both what you want and what you need from your business. Take a second to review what you wrote down for your required monthly or annual income, and how much time per week you think it will take to make that income. What would it take to reach that level of income, working that amount of time on and in your business? You might decide that you need a certain number of clients paying you a set fee for coaching, consulting or other services such as copywriting or design. You might need to sell a certain number of products in a particular price range. You might want to have a membership site with a specific price per month and a minimum number of members. As you think about what it would take to get your business to where you need it to be, also think about other elements of your life and your business. Remember to start with the minimum that you need from your business. You already have a figure for how much money will make it worth your time, and an idea of how much you want to work for that amount of money. You should also start to think about your schedule, whether you want or will need to hire help, and what you want to spend your time doing. In addition, start thinking about who you’ll be and the life and social impact you’ll have when your business is meeting your needs. What will you need to do to have that impact and that lifestyle from your business? What will your business need to provide for you to be who you want to be and do what you need to do? Then move on and think about your goals for what you want from your business, and what it will take to reach that income, that schedule, that lifestyle and that social impact. Creating dreams is a lot of fun, and we hope you enjoyed that section of the report. Most of our students have a great time creating dreams. Now it’s time to start putting foundations under your air castles by creating goals for reaching your dreams. Before we start talking about setting goals and how to accomplish them, we should probably explain the difference between a goal and a dream. Novelist Hugh Howey has a nice essay on goals and dreams on his website. Here’s our definition of dreams versus goals. A dream is something you would like to have. It’s a wish, a fantasy. A dream is something you haven’t gotten specific about or planned for, but you would someday love to have it. A goal is something you are working toward. You have set a deadline and objectives for reaching your goal. You have a plan and you are actively working toward your goal. A goal is not a wish, because you are creating the circumstances to reach your goal. A wish or a dream is not a goal, because you’re thinking about it but not taking action toward it. You may not quite get the difference between goals and objectives. If you haven’t studied goal setting, or done a lot of reading about it, all the terminology can be a little confusing, so we’ll explain that quickly. A goal is your broad outcome. You will create a strategy to achieve that goal. An objective is a single, measurable step toward the goal you have set, using your strategy. A tactic is a tool you use or an action you take in pursuing your objectives by following your strategy. We’ve heard this called the GOST, for goals, objectives, strategy, and tactics. Let’s quickly walk through an example. Your strategy might be to create a coaching program that brings in at least $50,000 per year with no more than ten hours of direct people contact per year. You might also create a home study program that brings in at least $40,000 per year, as well as create two to four entry-level and intermediate programs that bring in $10,000 per year while moving prospects through the sales funnel toward the coaching program and/or home study program. 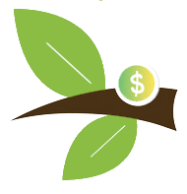 One objective might be to create a coaching program which can be sold for $5,000 per year to ten coaching clients. A tactic for that objective could be to research your audience’s needs and the coaching programs currently available to determine what a coaching program should contain so that your audience would be willing to pay $5,000 per year to work with you in that program. You may have heard of the SMART goal-setting system. It’s the most common and popular goal-setting program, and it’s a good place to start. Specific—they focus on something in particular, such as your income, the amount of time you’ll work and how you’ll spend your time. Measurable—you can determine when you’ve reached the goal. For instance, it’s clear whether you are making $100,000 a year or not. Ambitious—different authors have differing definitions for what “A” and “R” stand for in “SMART.” We like ambitious because your goals should be something you really want to achieve and should not be so easy that you’re not motivated to strive for them. Realistic—At the same time that your goals should be ambitious and stretch you, they should be something you believe you can achieve if you work for them. You won’t work for a goal you know you can’t achieve, and it won’t matter that you set the goal. Time-Sensitive—your goals should have a deadline, and you should strive to meet that deadline, knowing that if you miss it, you’ve still made progress toward your goal and you can set a new deadline and keep going. Brian Tracy is one of the best, if not the very best, trainers when it comes to goals. You can watch one of his goal-setting seminars here, and get his best-selling book Goals as a free ebook at BrianTracy.com. We’ve already mentioned one goal, of attaining an income of $100,000 per year while working half-time and dealing with people part but not all of the time. Another version of that goal might be to work four days a week from 7:30 am to 3:00 pm, drive your kids to school and pick them up at the bus stop, and work directly with people very little or not at all. A third version with the same income goal might be to work every day from 7 am until noon and spend at least 15 hours a week working with coaching clients. You can choose any goal you want that fits the business and the life you want. You can even set outrageous, audacious goals—as long as you realize that they will take longer to reach. You’re not going to make one million dollars in your first year running a blog business, but that doesn’t mean you can’t ever make one million dollars a year. Once you have an idea of what your business needs to look like to meet your goals, start planning how you will get there. This is the strategy we talked about earlier. If the term “strategy” sounds a little stuffy and dry, think of it as developing your action plan. Your strategy starts with your analysis of what you want to do and what it will take to get there. For instance, do you need a big audience to buy affiliate products that you promote through your blog? Maybe you need lots of marketplace authority to command high consulting or coaching rates. Maybe you plan to sell your own products and need a large audience of people looking for the solutions you offer. Maybe you would like to combine affiliate sales, coaching or consulting and your own products—in which case, you need a large audience and marketplace authority. Whatever you find you need, start looking at your blogging as a way to get there. What do you need your blog and/or blog audience to be able to provide? You don’t know all of the answers to that question yet, but we’re going to look at how to get the answers you need. Download the entire How to Make Money Blogging book below. To build a blog that creates the income and lifestyle you want, you have to start with the end point in mind, and plan backward. Planning backward is effective for three reasons. First, you have to know where you’re going to know if you’ve gotten there. Second, you’ll save huge amounts of money, time and effort by creating your goal first and aiming straight toward it. Third, creating a plan and working that plan will make you more money than throwing something against the wall to see if it sticks. There’s a difference between a blog and a business, most often people run into three common limiting beliefs about what it takes to turn a blog into a business. If you want to make serious money from your blog, you have to run it like a business, not like a hobby. You may think that business is boring, that you don’t know how to run a business, that you don’t want to have employees, that you don’t have the money to start a business or that you don’t want to sell. Running your blog as a business can be a lot of fun. You don’t have to have employees or even contractors working for you if you don’t want to. You can start with a very small amount of money, and you never have to sell anyone anything; you just need to offer your audience something they want. Hobbies are great in part because you can do as much or as little as you want, whenever you want. You can’t do that with a business, and you can’t do it with your blog if you want to make real money. It’s fine to decide that you’d rather have a hobby than a business, as long as you understand what that means. You have to think about what you need from your business, in terms of money, time and intangibles such as quality of life and time to spend on your relationships. You also have to think about what you want from your business, in those same terms. Once you’ve created goals for what you need and want from your blog, it’s time to think about what it will take to get there. Goals are different from dreams because they’re concrete—you can reach them. Dreams are just nice to think about. Write a one page description of what your life will look like with your ideal money-making blog. Then, list the SMART goals that will help you get there.